The Lamplightsare a band you can’t help but love at first listen. 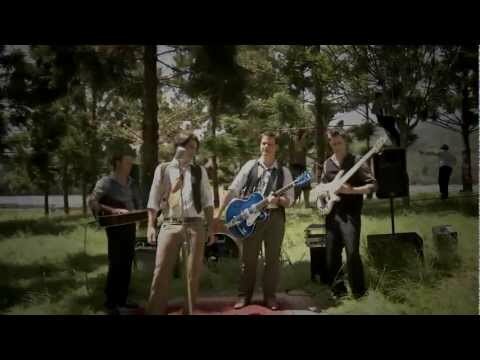 Playing an organic blend of folk, funk, roots, and blues with pop undertones, this fresh, energetic band from the Gold Coast are a pleasure to experience. 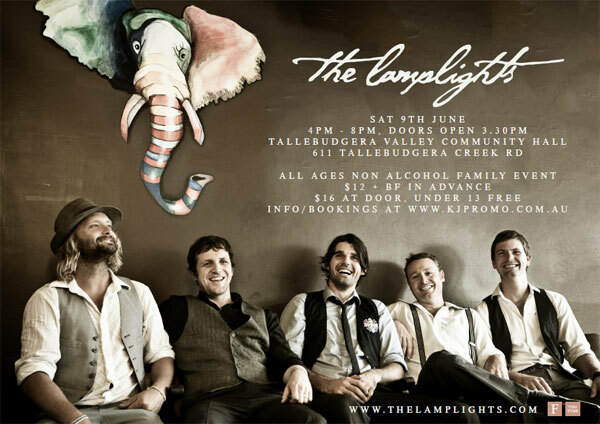 The Lamplights have been receiving accolades from audiences and music professionals alike, and recently won awards in three different categories at the 2011 Australian Songwriting Contest, a feat no other songwriter has achieved in the 31 year history of the awards. With a genuine joy in writing and sharing music, they deliver songs that have a positive impact on everyone who hears them. The band pride themselves on leaving their audiences feeling positive, inspired and empowered. Check out the Lamplights live on You Tube below. The Lamplights not only write great songs, but every performance is delivered with honesty, integrity and heart. They’re not a band who just go through the motions of performance they ride the crests and troughs of the songs along with their audiences and their live shows are a true ‘shared’ experience between the band and their fans. They’ve received repeated airplay across Australia on ABC Radio and their music has also been added to the playlists of some major department stores throughout the country. Their diverse influences and universal appeal has resulted in the band being heard on radio stations in New Zealand, Italy, France, Germany, The Netherlands, Norway, Sweden, England, Ireland, Spain, Portugal, and as far away as Macedonia and Belgium. Click Location to see a map. For more info on The Lamplights, please visit their website by clicking here.